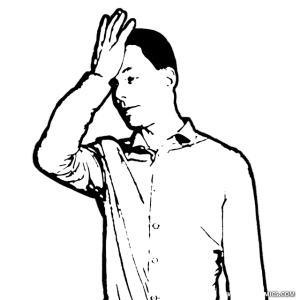 The person leans back and folds his/her arms behind the head openly. Self-confidence The person feels safe and underlines his/her high status. Superiority The person feels safe regarding the issue and/or superior to a person. The body is open and yet the person claims territory. He/she shows distance and emotional coldness. The gesture makes us look bigger and shows dominance. 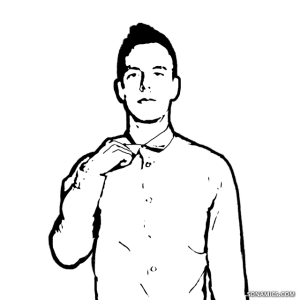 This entry was posted in Gesture on 14/08/2015 by Tom Rothe. 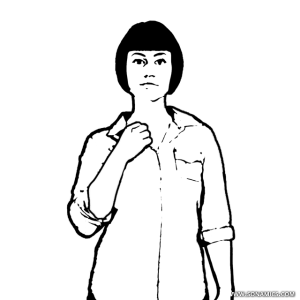 The person crosses his/her arms and blocks the chest and stomach. Distance and Defense The person has a distant attitude towards a person or situation. Restraint The person listens to the matter , but is not yet ready to act. We protect our bodies from danger by building a shield. This self hug soothes and prevents us from acting rash. 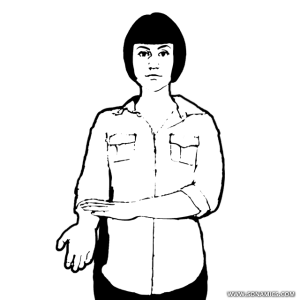 If hands or fists are tensed, they reinforce the defensive meaning. Caution Crossed arms are not always a defensive reaction. Depending on the situation, they can be relaxing or caused by cold. If the hands are eased up, it is only a ‘soft barrier’. If the hands are tensed up, it shows the greater displeasure. The caller interrupts eye contact and removes real or imaginary lint from the arm or table. The person does not like what he/she hears or thinks that no place for his/her point of view. Alternatively he/she pushes an argument figuratively. The lint picker is found when a person does not agree with the subject. The person holds back to express his/her opinion. Encourage the person to say what he/she thinks. The body is open and leans back relaxed. Self-confidence The person is relaxed and feels good. An open posture makes us vulnerable. We open ourselves, if we have nothing to fear and we feel self-assured. 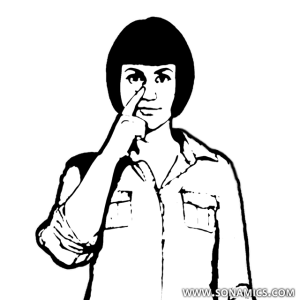 The person touches the nose with a finger. Skepticism The person is uncertain about the matter at hand. or Calming If the person is emotionally involved, he/she wants to calm himself/herself down. If a person feels uncomfortable – e.g. when lying -, the breathing speed and heart rate increases. As a result, the blood vessels expand in the nose. The tingling can trigger the touch. 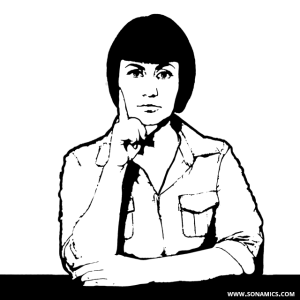 The gesture is an indicator of discomfort – it does not proof lying! The head is slightly tilted forward. Disapproval The person has a critical, judgmental attitude about the other person or the current topic. or Greeting The person nods and greets with a slight bow. 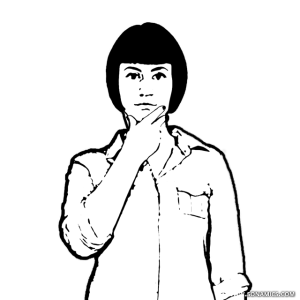 How long the head is tilted and the context provide changes the meaning of this gesture: the longer the stare, the more disapproval. A critical look over the reading glasses, reminds of a teacher and may be intimidating. This entry was posted in face, import on 14/08/2015 by Tom Rothe. One or two hands hold on to a desk or chair. Insecurity The person feels uncomfortable and seeks protection. We cling to objects when we seek protection. They serve as a barrier and holding on keeps our hands under control. At the same time, this gesture takes the freedom to move. This gesture should be avoided in presentations, so the speaker remains flexible. This entry was posted in arms/hands, import, uneasy on 14/08/2015 by Tom Rothe. An open posture makes us vulnerable. We open ourselves, if we have nothing to fear and feel confident. This entry was posted in body, easy, import, open on 14/08/2015 by Tom Rothe. The head rests on the hand. Disinterest or Boredom or Fatigue The head rests on the hand and the person does not follow anymore. This pose shows that the person has no interest in the topic (anymore). He/She does not interrupt but awaits the situation’s end. The more the head is supported, the stronger this sign is. The hands are in the pockets and the thumbs are visible. Sovereignty and Self-confidence The person has a high status. Sexuality The person is looking for a partner. The visible thumbs indicate dominance and sovereignty, no matter if the hand disappears in your pocket or holds the lapel. 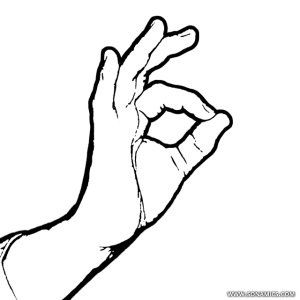 This gesture is a common sign that someone feels comfortable. It may also indicate low status, if the thumb disappears in the pocket. 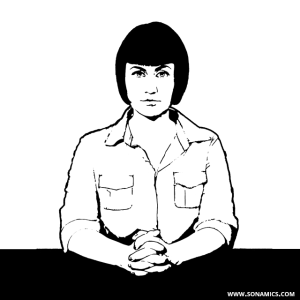 Gestures showing a low status should be to be avoided – especially by persons in executive positions. 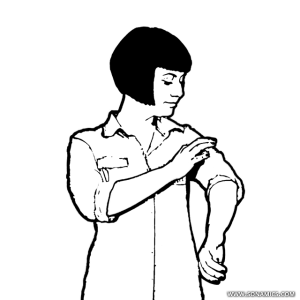 This entry was posted in arms/hands, dominant, easy, import on 14/08/2015 by Tom Rothe. The eyes focus in multiple imaginary triangles. or (C) eyes and chest or crotch (intimate look). If eyes meet for more than two thirds of the time, the other person is either interested (dilated pupils) or he/she puts out a non-verbal challenge (constricted pupil). If a person likes the other, he/she often looks back. This has the effect that the other person may realize that he/she is liked. The fingers clench the nose’s bridge and the eyes are closed. Overload The person is tired and overwhelmed by the situation. Isolation The person shields himself/herself from the outside world. Our brain reacts to unpleasant situations by looking away or closing eyes. 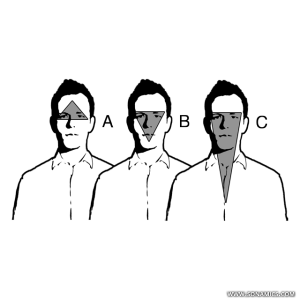 By avoiding eye contact, the mind selects which information is perceived and which gets discarded. A person can recover and get back into the situation by fading out the environment. The body leans back and the crotch is clearly visible. Self-confidence The person feels very safe in what he/she is doing. The presentation of the crotch is an act of dominance and challenges the other. At the same time, it is a sexual signal that is deemed inappropriate in most cultures. 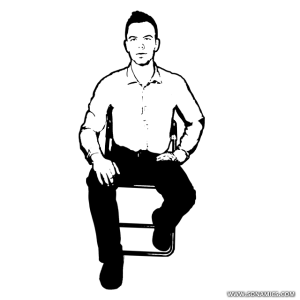 This entry was posted in body, dominant, easy, import, territorial on 14/08/2015 by Tom Rothe. The finger tips touch and the hands and form a triangle. Self-confidence and Sovereignty The person is convinced of what he/she says and does. Interest The person listens closely, yet preserves a professional distance. There are two forms of the Roof. If the fingers point upwards, the person is probably speaking. If they are pointing downwards the person is listening. Women often use the gesture around the waist level. Body language trainers recommended this pose to people who have trouble positioning their hands. German Chancellor Angela Merkel often poses like this in photos. This entry was posted in arms/hands, easy, import on 14/08/2015 by Tom Rothe. The hands touch the hip, while all fingers are visible in the front. Dominance and Aggression The person has no fear and claims authority. 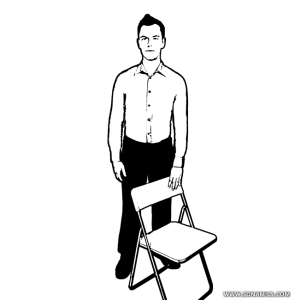 This posture makes the person appear wider. It comes across as aggressive and should only be used rarely. Yet, the gesture emphasizes authority. 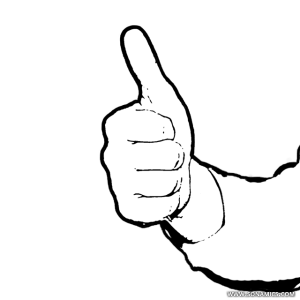 If the fingers and thumbs point downwards, the meaning is weakened. 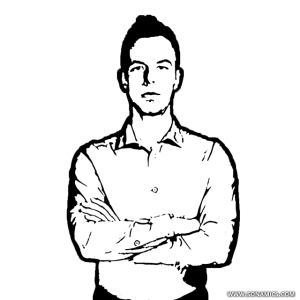 This entry was posted in body, dominant, import, territorial on 14/08/2015 by Tom Rothe. The person crouches with the shoulders pulled up. Insecurity and Fear The person has little self-confidence and does not want to attract attention. 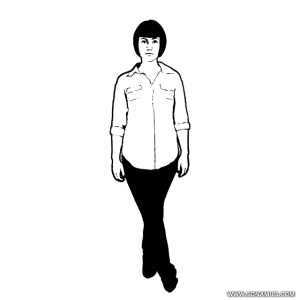 We make ourselves small, avoid eye contact and limit our movements to a minimum, if we want to appear invisible. The head is protected by this shrunk posture. This gesture appears mostly with people who have low self-esteem. For example, shoplifters or ill-prepared speakers exhibit this body language. This entry was posted in body, import, submissive, uneasy on 14/08/2015 by Tom Rothe. Thumb and index finger touch, while the other three fingers are spread apart. Western Culture Everything is OK or if a speaker wants to emphasize a point. Brazil, Spain and Turkey Inappropriate gesture. 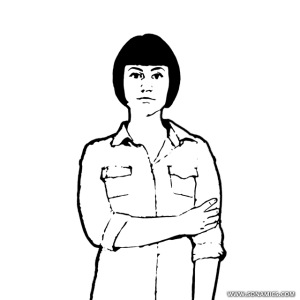 This gesture shows how different body language can be perceived around the world. This entry was posted in arms/hands, import on 14/08/2015 by Tom Rothe. The person opens arms, such that palms and fingers are visible. Openness and Honesty The person wants to show that he/she can be trusted. Many people find it difficult to lie when showing their palms. The gesture exposes vulnerable parts of the body. Thus, it shows trust in the other person. For example, a legal defender would make his/her palms visible in the courtroom. 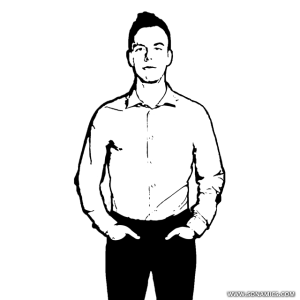 Use this gesture in presentations and sales. Caution: This does not apply if the shoulders are pulled up. This entry was posted in arms/hands, import, open on 14/08/2015 by Tom Rothe. 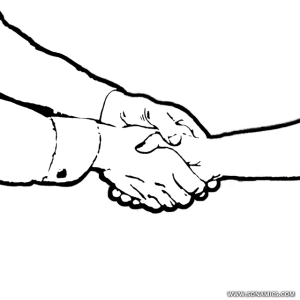 During the handshake, the left hand touches the other’s hand, wrist or forearm. Trust The person wants to strengthen the personal bond. or Dominance The person takes the lead. Touches strengthen the bond between two people. The extra hand shall emphasize the intimacy of the relationship. When touching the other, the person shows affection – but also dominance. On average the handshake becomes longer when touching. 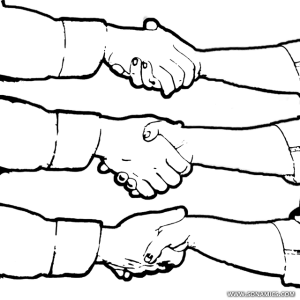 The double handshake is often used by politicians and sales men. The gesture enters the intimate space and should therefore only be used with friends. This entry was posted in arms/hands, dominant, import, territorial on 14/08/2015 by Tom Rothe. The person doodles or draws without a particular goal. Boredom The person has no interest in the current topic or has tuned out completely. Change the subject or end the conversation. Sometimes it is just fatigue that prevents us from attentive listening. Research found that mechanical acts such as scribbling, help us focus. Restraint The person listens to the matter, but is not yet ready to act. We protect our bodies from danger by building a shield. This self-hug soothes and prevents us from acting rash. If hands or fists are clenched, they reinforce the defensive meaning. Caution: Crossed arms are not always a defensive reaction. Depending on the situation, they can be relaxing or caused by cold. If the hands are eased, it is only a ‘soft barrier’. If the hands are tense, it shows the greater displeasure. This entry was posted in body, import, uneasy on 14/08/2015 by Tom Rothe. The hand touches the upper chest, the jugular or the neck. Discomfort The person feels insecure. The neck is a very vulnerable area. We protect it by pulling up the shoulders or placing our hands in front. Men grab the neck more forcefully than women. Each situation requires a different distance to the other person. When looking at space between people, the rotation of the bodies towards each other plays a big role. We have no problem to stand next to someone that is 30cm (~10″) away. However, if the person faces us completely at this distance, we start feeling uneasy. The ‘intimate space’ is reserved for people who are close to us, such as your partner or family. We allow people we like and know well, such as family or very good friends, into this space. 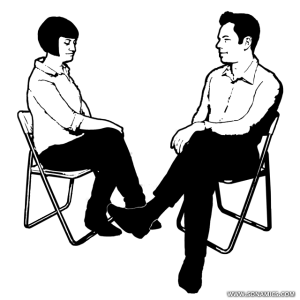 In the ‘personal space’ we interact with friends or colleagues, e.g. at a party. 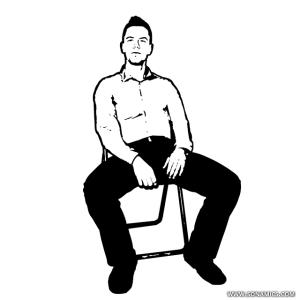 In the ‘social space’ we communicate with people, we have a neutral attitude towards, for example sales man. In the ‘public space’, most people feel safest. E.g., this distance is common in lectures or presentations. This entry was posted in body, import, territorial on 14/08/2015 by Tom Rothe. The palms face upwards or downwards. 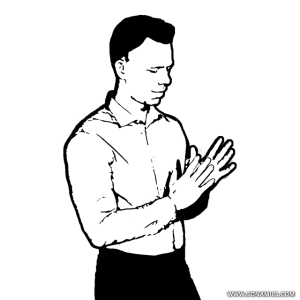 Submissiveness (Palm up) The person asks for a favor. or Dominance (Palm down) The person claims a right. Palms facing upwards have a pleading and inviting character. The downward hand is giving and dominant. The person ushers the other or offers a seat. Sovereignty The person takes the role of the host and lays out the rules. The dominant effect increases if the person touches the other. This establishes who is in charge. Generally, it is good if the host takes the leading role. The feet teeter stronger than before. Nervousness, Excitement or Impatience This self-soothing gesture shows that the person is currently faced with a unpleasant thought or question. Many people are not aware of what they do with their feet. Yet, feet are a good indicator for the mood of a person. People usually wiggle because they are impatient or bored. If a the wiggling becomes stronger when touching a particularly topic, this indicates that the person feels unpleasant. This entry was posted in import, legs/feet, uneasy on 14/08/2015 by Tom Rothe. The palms are spread-out on the table. 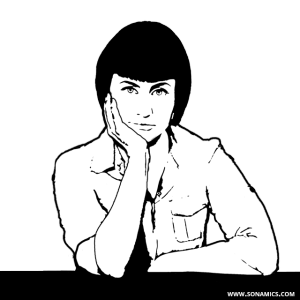 Possessiveness and Dominance The person wants to establish his/her authority. The hands claim ownership. Through spreading the fingers, the hands appear larger. The person takes up more space and shows authority. 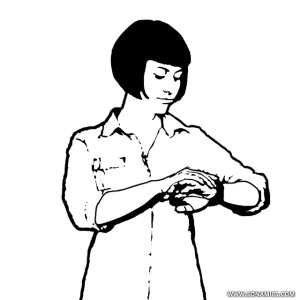 The person looks at his/her watch or a clock in the room. Impatience or Boredom The person wants to end the conversation. The person shows that he/she has no time. The person is unable or unwilling to perceive more information. Take the initiative: Change the subject or end the conversation. This entry was posted in body, import on 14/08/2015 by Tom Rothe. 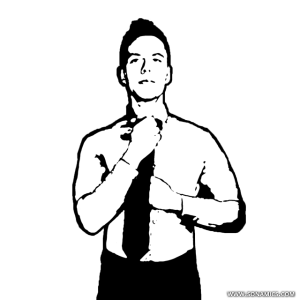 The person straightens the tie. Discomfort The person feels insecure or prepares for an important meeting. or Desire The person dresses up for the other(s). The context is important for the meaning. 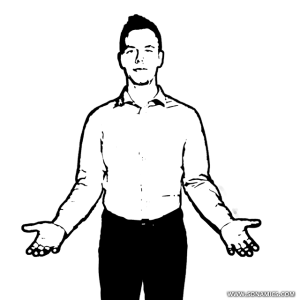 If the person is stressed, the gesture covers the sensitive jugular notch and the neck. Then, it is a defensive pose. In the case of flirtation or an interview, we would like to look the best. The hand holds the other wrist behind the back. Authority and Self-assurance The person walks through his/her terrain fearlessly. Distance The person monitors the situation, but does not want physical contact with the other – usually subordinate – persons. This gesture is found with high-level personal, such as high-ranking police officers, military personnel or bosses. They pace out their territory and inspect. The vulnerable front demonstrates that the person has no fear. The hands on the back offer little opportunity to engage in physical contact with them. 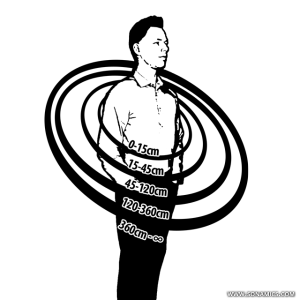 This entry was posted in arms/hands, easy, import, territorial on 14/08/2015 by Tom Rothe. 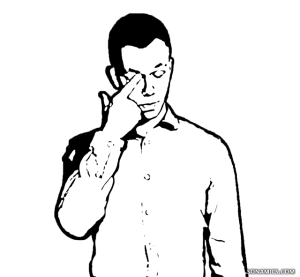 One or more finger rubbing over the upper or lower eyelid. Discomfort The person feels uncomfortable and wants to avoid/flee the situation. The person interrupts eye contact because he/she wants to avoid hearing or seeing. The arms are folded, while the hands embrace the body and the thumbs point upwards. Defense and Self-confidence The person feels secure in what he/she does and does not allow arguments to come near him/her. This ambiguous signal shows a negative attitude. The thumbs show dominance. Give the person something for the hands or walk with him/her. This may relax the situation. 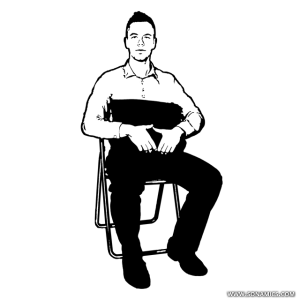 The person crosses the legs while the rest of the body is tense and/or the arms are folded. Defense and Protection The person feels insecure. 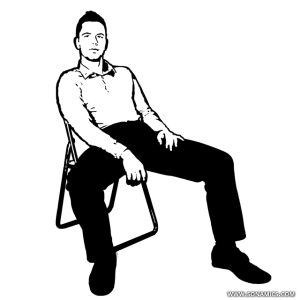 If a person suddenly crosses his/her legs or wraps them around a chair, the person feels uncomfortable. 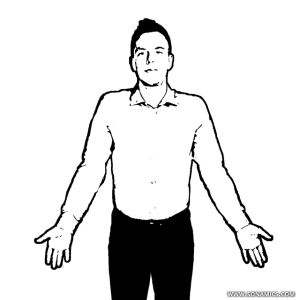 This closed posture shows the need for protection and support. 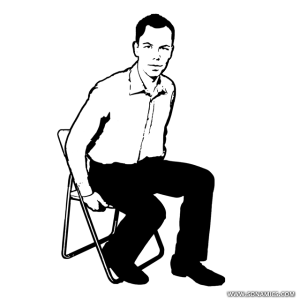 This pose is often accompanied by the hands pressing on his/her knees or holding on to a chair. Give the person something in his/her hand or put them in motion, so that they can relax. Sympathy and Trust The person likes the other and has a positive attitude towards him/her. Wrists are – especially for women – very sensitive body parts. Vital veins run through them. 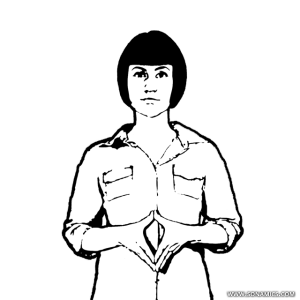 The gesture shows openness and indicates that the person is attracted to the other. The Wrist can be interpreted as flirting signal. This entry was posted in arms/hands, easy, import, open on 14/08/2015 by Tom Rothe. 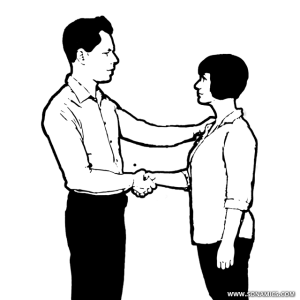 During the handshake, the left hand touches the other’s elbow, forearm or shoulder. Dominance The person raises his/her status. With this gesture the person tries to establish trust in a dominant manner. It is only acceptable between close friends. Using this gesture with customers, may cause distrust and you may commit social suicide. 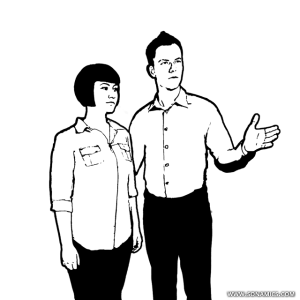 As an answer to this dominant gesture, you can either reciprocate the touch or use the left hand to push the other person back slightly and then stand sideways. An object, such as a pen or lens, is lead to the mouth. Hovering or Concentration The person is reflecting what best decision or solution would be. We create comfort by touching the mouth with items. This also applies to cigarettes. This gesture can be traced back to sucking on the mother’s chest. Give the person more information or a different perspective to aid the decision. 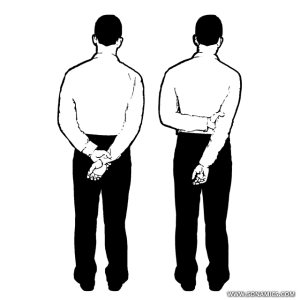 The person leans forward while the arms are open. Agreement and Sympathy The person has a positive attitude towards the other. He/She likes what the other says. We lean towards people and things we like. If the other mirrors this behavior, it shows harmony. The opposite occurs when we dislike someone or have little interest in something. Both shoulders are raised up evenly. Unawareness or Ignorance The person does not understand or does not bother. 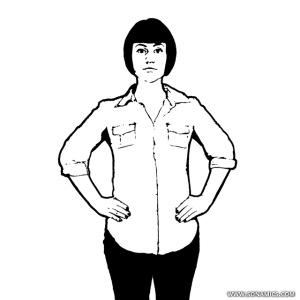 There are two versions of the shrug: Both shoulders raise uniformly towards the ears; or the shrug is uneven. The first version suggests sincerity, the second may involve deception. The person crosses legs relaxedly. One shoe may be tilted upwards. Confidence The person is relaxed and feels comfortable. Crossed legs prevent us from escaping quickly. We only block ourselves if we feel secure. 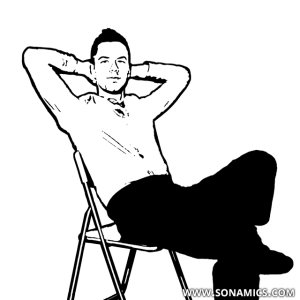 Usually, the rest of the body shows a relaxed attitude. Criminals may take this pose to pretend that everything is fine. This entry was posted in easy, import, legs/feet on 14/08/2015 by Tom Rothe. The hand clenches to a fist and the thumb points up. Western Culture Super! or as a sign for hitchhiking or the number one. Mediterranean Inappropriate gesture similar to the American ‘two fingers up’. Depending on the country this gesture has different meanings. This generally applies to body language and here in particular. The person holds an object between himself/herself and the other. or Shyness The person feels uncomfortable. The object acts as a barrier. It may be a briefcase, a chair, a laptop or a coffee cup. Sometimes a situation arises such that an object is in the way, but nobody put it there on purpose. Remove the obstacle in the way to create a more personal setting. The person tugs cuffs, sleeves or other clothing. 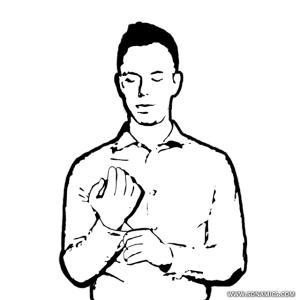 Nervousness This self-soothing gesture shows that the person is insecure. The mechanical act occupies the hands and distracts from the situation. One leg crosses the other. The ankle lies on the thigh. Self-confidence The person feels safe and challenges the other or arguments against the other’s point. The gesture challenges the other. Sometimes one or two hands grab the crossed leg. 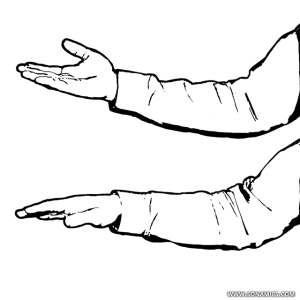 The gesture mixes self-confidence with dominance and relaxation. In Asia and Arabia, showing the shoe sole is considered rude. 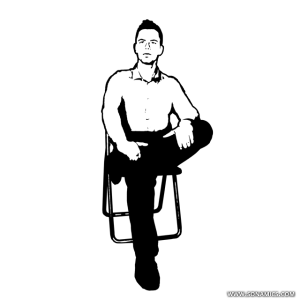 This entry was posted in dominant, easy, import, legs/feet on 14/08/2015 by Tom Rothe. If a person feels uncomfortable – e.g. when deceiving -, the breathing speed and heart rate increases. As a result, the blood vessels in the nose expand. The tingling can trigger the touch. 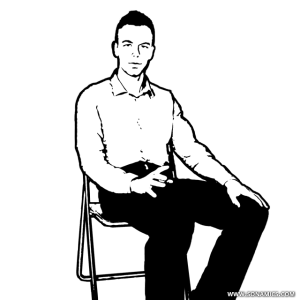 The gesture is an indicator of discomfort – it does not proof lying! The caller interrupts eye contact and removes real or imaginary lint. Rejection and Reservation The person does not like what he/she hears or thinks that there is no place for his/her point of view. Alternatively, he/she dismisses an argument figuratively. The lint picker is found when a person does not agree with the other person. The person holds back expressing his/her opinion. Encourage the person to say what he/she thinks. 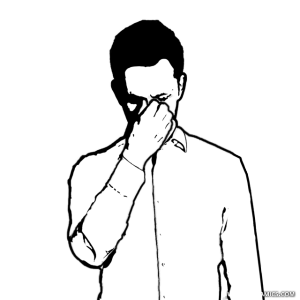 The person gently smacks the head or forehead. Realization The person notices a mistake or realizes that he/she forgot something. The gesture often occurs with honest people. The slight blow to the head is like a symbolic self-punishment. The blow shall re-establish order. A blow to the back of the head or very vigorous rubbing shows that the incident bothers the person. 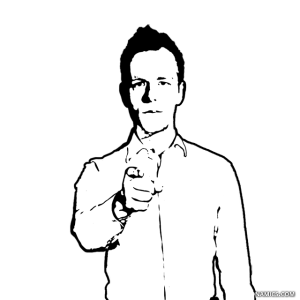 The finger points at a person while holding eye contact. Aggression The person attacks someone non-verbally. Nobody likes it when being pointed at. This gesture can lead to aggression and fights. Avoid this harsh gesture. This entry was posted in arms/hands, dominant, import on 14/08/2015 by Tom Rothe. One hand holds the arm or the other hand. Defense and Protection The person feels insecure in the situation. or Self-doubt The person does not feel up to the current – socially tense – situation. Holding one’s hand helps in difficult situations. It is reassuring and reminds us of childhood days, when our parents protected us. The gesture is often seen when someone enters a new group or receives an award. In this situation, the unexpected attention causes discomfort. This entry was posted in arms/hands, import, submissive, uneasy on 14/08/2015 by Tom Rothe. 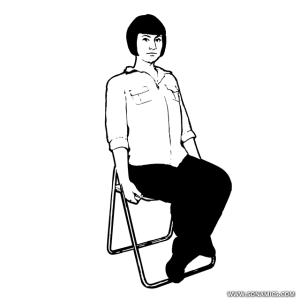 The person leans forward while sitting. One leg is pulled back and the hands rest on the chair or the knees. Preparedness The person has a negative attitude and is ready to end the conversation. Also other signs, like packing up, grabbing for the jacket or collecting the handbag, suggest that the person wants to go somewhere else. 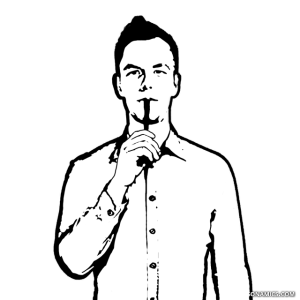 If you recognize this gesture, take the initiative to end the conversation. This way, you stay in charge. 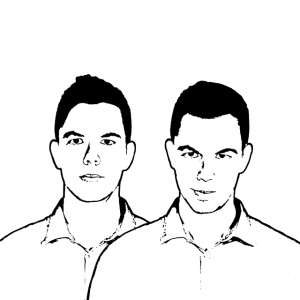 People take similar poses and mirror movements. Harmony People have the same opinion and want to reach an agreement. 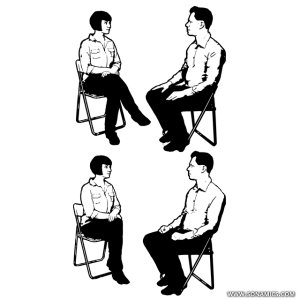 When mirroring, there is a dominant person who leads and a person that follows. Both synchronize their movements. Subconsciously, trust is created among the two, because the other is ‘as I am’. The opposite is the case if the body language differs greatly. The head is slightly tilted to the side. Confidence and Reassurance The person wants to establish harmony. or Interest The person is interested in the other or the conversation. The neck is vulnerable. When we bow back, we show that there is no harm coming from us and we submit ourself to the other. 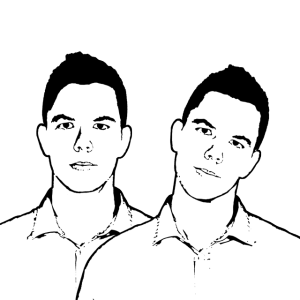 Generally, a tilted head shows interest and may as well be a flirt signal. If the person is also bent forward, the feeling is mutual. This gesture is very low in authority. This entry was posted in face, import, open, submissive on 14/08/2015 by Tom Rothe. Most of the weight is resting on one leg, while the other foot points in one direction. Disinterest The person is not interested in the other person if the foot is turned away. Attraction The person interested in the other person, if the foot points there (not shown). Interest The person is curious about the topic, if the foot points towards the conversation partner (not shown). The foot shows the direction, we find interesting. This can be toward or away from a person. 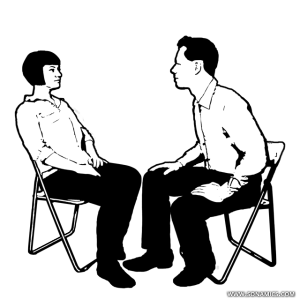 In the second case (as depicted), the other person should end the conversation. The foot can also point towards the sky, e.g. during a phone call. This may indicate a good mood. This entry was posted in import, legs/feet on 14/08/2015 by Tom Rothe. The closed hand lays on the cheek. Interest The person is interested in the subject. He/She appreciates the other person or the topic of conversation. In most cases, the interested person is sitting upright or leans slightly forward to the other person. Bending forward further, shows more interest in the conversation or the person. The person is literally sitting on the edge of the seat. 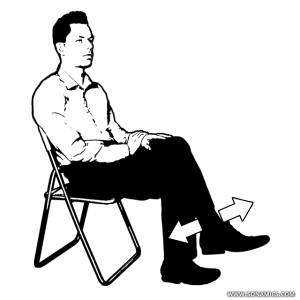 The person leans forward while seated. One leg is pulled back and one hand rests on the thigh. Preparedness The person has a positive attitude and wants to move on. The position indicates that we are ready to go. Sales men should pay attention to this sign before they ask for a decision. If this gesture is accompanied by stroking the chin (decision-making), we are ready for the next step. 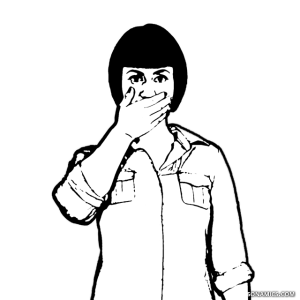 Cover or Shyness The hand shall hide is socially undesirable gestures such as yawns or giggles. Insecurity The person is not sure about what he/she says. Covering the mouth is often used as an indicator for lies. This is mostly true for young children. When growing up, we learn to hide our uncertainty and to avoid this gesture. Often the person feels obligated to say something, but would rather not. Then the answer is delayed. Always remove your hand from the mouth when speaking. One or both hands touch the heart or chest. Honesty The person wants to show, that you can trust him/her. 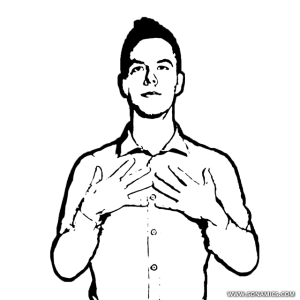 Moving the hands to the chest shall demonstrate sincerity. 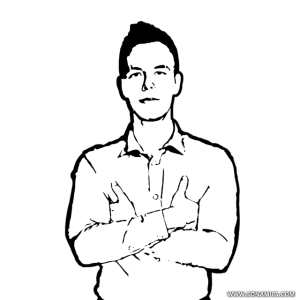 The gesture is easy to fake and it may be used consciously – for example by sales man. If the gesture is shown as a reaction, the person feels attacked and he wants to reaffirm his/her innocence. You can not draw any conclusions about truthfulness from this gesture. The legs are crossed and one knee points in a direction. Interest The person is interested in the person pointed at. Our knee shows the direction the person is attracted to. The attraction may be towards a person, an object or an exit. If the knee points away from something/someone, it functions as a barrier. Hands or fingers are rubbed together. Anticipation The person expects a joyful event. or Insecurity The person has low self-esteem. When doing this gesture, we look forward to something. This may as well be at someone else’s expense. Often, the look is unfocused for a moment, as if the person imagines the event. Caution: Strong rubbing may also mean that the person is cold or under stress. 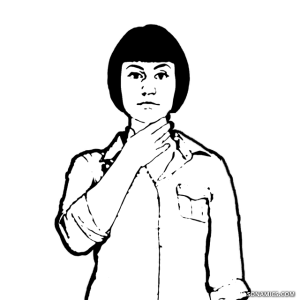 The person pulls the collar away from the throat. Stress or Anger or Constriction The person is emotionally heated. This gesture is more commonly observed in men. Women may throw back their hair to let the neck breathe. The Stretch is often associated with lies. As if the untruth causes an itch or the difficulty to breath. The hand strokes the chin. Insecurity The person needs time to consider the facts. He/she does not want to respond immediately. or Stress The person is agitated and soothes himself/herself with this mechanical movement. Evaluation The person thinks about the situation/decision. The intensity of the strike makes a difference. Repeated strokes with heavy pressure indicate stress; soft strokes show insecurity. Possibly, the person is faced with a decision and tries make out the right answer. The hands are folded and pressed against the body. Self-confidence The person is confident and has no intention to change his/her mind. Anger or Concern The negative feelings are compensated by strong embracing oneself. or Restraint The person is still assessing the situation and holds back to avoid rash actions. 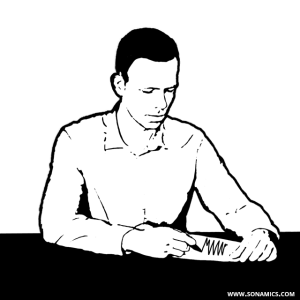 There are three different positions: hands in front of the face, hands placed on the table or hands in front of the crotch. 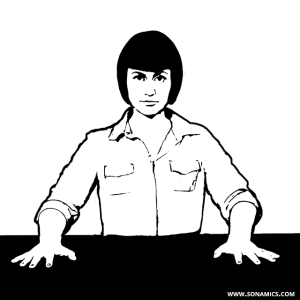 The higher the hands are held, the stronger the signal. Give the person something in his/her hand or bring him/her to do something else. The person shakes hands with someone else. The humble (palms facing up – underhand). In the past, management books recommended the dominant handshake. Today, this behavior is deemed too aggressive. Therefore the equal handshake is preferred. During this handshake the other should feel that there is a counterpart, but the other’s hand shall not be squeezed too hard. A lax handshake (also called ‘dead fish’) is only acceptable in Asia, where minimal physical contact is preferred. For photos, politicians like to stand on the right of their partner, so the ‘upper hand’ is more visible in the photo. Thus, the status shown is higher. The fingers drum on a table or the person’s body. Impatience The person wants to be somewhere else or is under time pressure. Frustration The person would like to interrupt the person speaking. The non-verbal sound sends a clear signal of frustration. The louder and faster the knocking, the more the person feels stress. Change the subject or end the conversation.